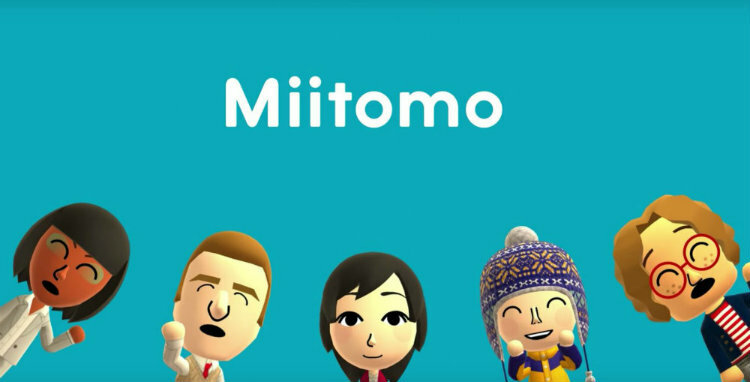 Miitomo, Nintendo’s first step into the world of smart devices has launched in North America. Miitomo brings that special Nintendo charm that people around the world love to a brand new format and audience. Available in both the App Store and Google Play storefronts, the premise behind Miitomo is simple—spark one-of-kind conversations with your friends by using your Mii character. Downloading Miitomo is easy, head on over to the App Store for iPhone, iPad, or iPod touch and simply search for Miitomo. If you have an Android device, you’ll be able to download Miitomo in the same fashion—navigate to the Google Play store and search for Miitomo. After Miitomo is installed, the real fun begins. You must create a Mii character; you can go about doing this a few different ways. The first way of creating your Mii is by using the library of facial features in Miitomo to create your Mii. If creating your Mii by hand doesn’t ticket your fancy, you can use the camera on your smart device to take a picture of yourself and Miitomo will generate a Mii based upon the picture. Alternatively, if you have a Wii U or Nintendo 3DS system, you can import your Mii using a QR Code. 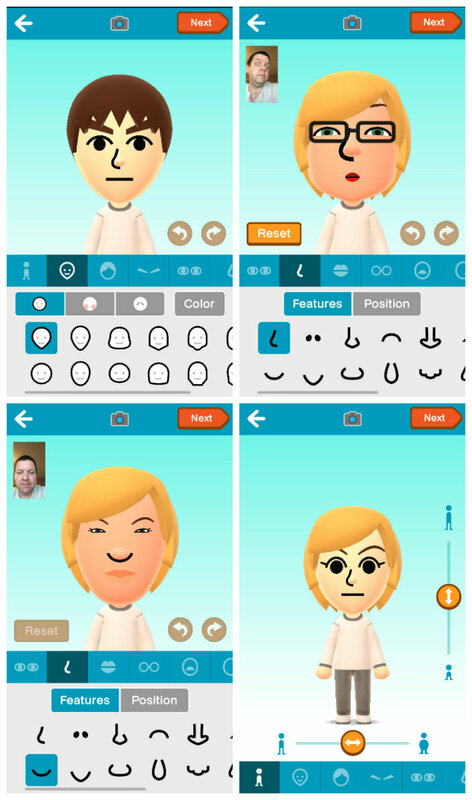 Regardless of which method you use, you can customize your Mii’s facial features, as well as its voice and personality. Next, it’s time to add some friends. Using an easy to navigate interface, you can link your Twitter and/or Facebook accounts right within Miitomo. Here you’ll be able to see which of your friends have created their Mii and add them as a friend in Miitomo. 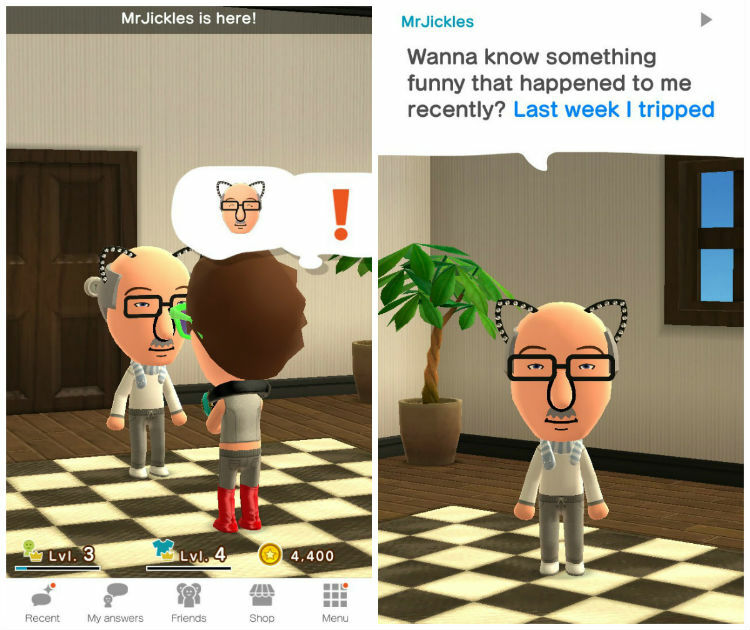 Billed as a free-to-start social experience, Miitomo creates conversations and turns discussions into a form of play. By answering a wide range of questions, that you’d never think to ask yourself, you’ll learn fun things about yourself and friends that make you unique. What’s the weirdest thing you’ve ever eaten? What do you do to relieve stress? What’s your favourite thing about cats? Your answers are shared amongst your friends, and you will learn fun things about your friends that you’d not normally talk about. Moreover, if you come across a question that you want to answer later, you can simply skip the question for now. You can give answers a “heart”, leave a comment, or leave a picture comment. I’ve already seen many creative responses to some of the most obscure questions. One of my favourite parts about Miitomo is the ability to dress my Mii anyway I want. The Miitomo shop has just about everything imaginable for your Mii to wear. From puppy costumes to stripped long-sleeve t-shirts to Pirate hats—you’ll spend countless hours mixing and matching clothing items. When you’re not talking to your friends, or dressing your Mii you can have fun by playing one of the many Miitomo Drop mini games. Simply drop your Mii into a play field, and then watch him/her bounce around until they land on a platform and win the prize. You’ll even find some exclusive clothing items that are only available in Miitomo Drop. Have your Mii become a superstar with Miifotos. You can put your Mii and friends’ Mii characters in images you make from a variety of stamps, fonts, and backgrounds that come with Miitomo. You can also use pictures you have on your device as backgrounds. 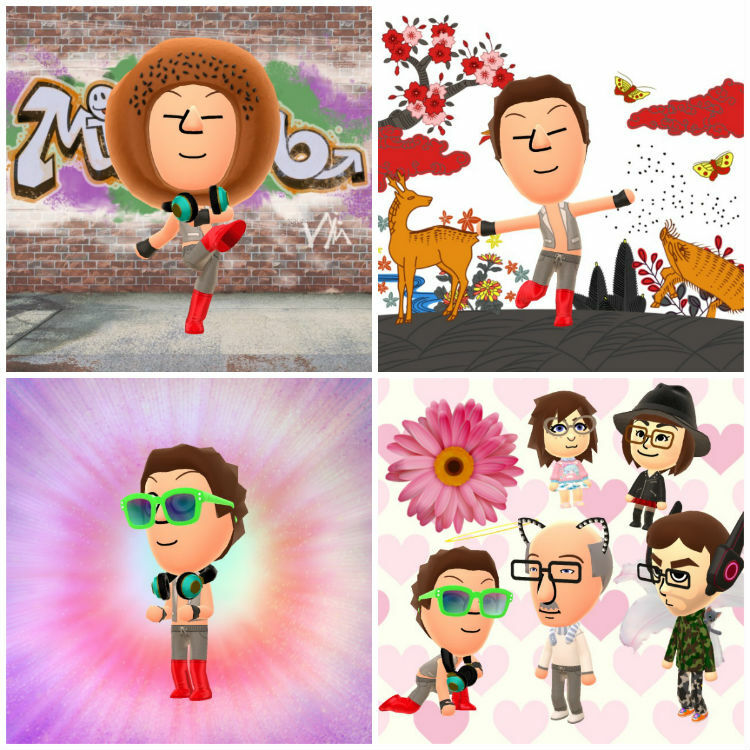 Once you have your Miifoto just right, share it on social media for the world to see, and earn those valuable Miitomo coins by doing so. Just look how much fun I had in my pictures below! To be frank, when I heard that Nintendo was releasing their first app for smart devices I was skeptical. Nintendo has always had a special place in my heart, but I just wasn’t sure how good Miitomo would be. Just a measly five days after release and I can stop playing Miitomo—it’s that darn addicting. You see, in order to get clothing items, or play Miitomo Drop you’ll need Miitomo coins. You can get Miitomo coins by playing the game, purchasing the Miitomo coins in the app, or by using game tickets which you get daily as a bonus. I’m not saying that down the road I won’t be purchasing Miitomo coins, however I have yet to have a need to do so. I can’t help trying to “level up” my Mii. As your Mii “levels up”, in turn you’ll earn rewards. Depending on how you interact with your friends, will raise your Popularity Level. Your Fashion Level changes as you change your Mii’s clothes—you won’t believe how many different outfits I have for my Mii. Something else that’s cool about Miitomo is the ability to link your Nintendo account to Miitomo. You’ll earn points towards My Nintendo, the company’s brand-new rewards service that encompasses both smart devices and Nintendo consoles. Just by adding friends and answering questions will get you points, which you can use towards discounts on certain Nintendo games, and cosmetic Miitomo items. If you’re hooked on Miitomo just as much as I am, let me know in the comments section below how you feel about Miitomo. 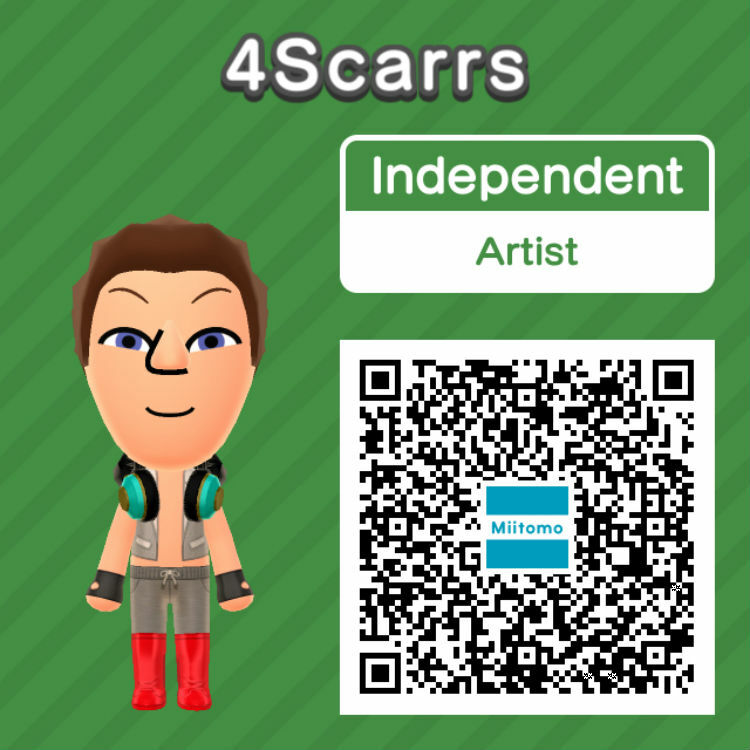 Feel free to add me as a friend in Miitomo, see you online.